“Disruptive innovation” is quite the buzzword these days in terms of sustainability, but we prefer disruptive experiences. 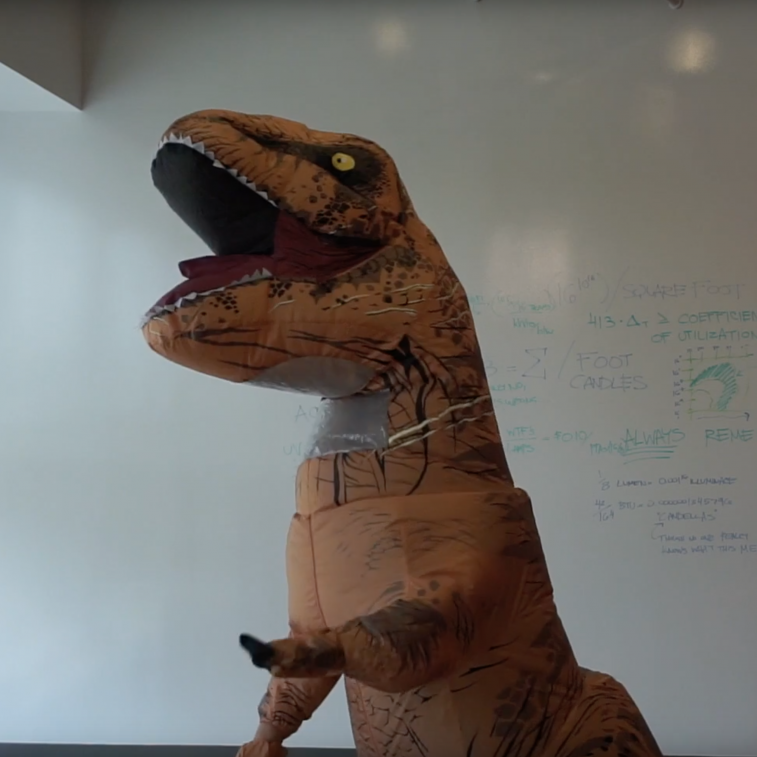 Whenever we get chatty about sustainability, Sustainasaurus Rex always seems to show up with a dose of reality, motivation and a hint of levity. S. Rex is one of many members of CCCA’s sustainability committee; a group of passionate designers focused on project performance, sustainable initiatives and community outreach. The ultimate goal is to embrace and foster the sustainability mindset in all aspects of our studio and culture. S. Rex’s latest ploy is to get everyone to work for a full day without office lights to remind us of a) the importance of natural daylighting in spaces, and b) our personal and social electricity consumption habits. Be sure to join us for “CCCA Lights Out Day” on October 20! BECAUSE [ mindfulness ] MATTERS.